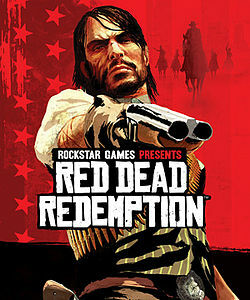 Back in 2010, Rockstar Games released a game called Red Dead Redemption. A sequel to a previous title called Red Dead Revolver, the game was an open world western adventure that followed former outlaw John Marston in his quest to bring three members of his former gang to justice. But while it was certainly a critical and commercial success (having sold over 14 million copies since launch), it seemed like a sequel wasn’t forthcoming. So yeah, it seems like Rockstar may have plans for a new Red Dead series game in future. Perhaps even the supposed ‘Red Dead Retribution’ title people have joked about. But what do you think? Is this potential evidence of a new game in development? Or is it just a joke by the company that shouldn’t be taken too seriously?